Here is the full list of how each Alliance team fared in the draft. When it comes to actually OHL teams and how they approached the Alliance, it was the Owen Sound Attack and the Soo Greyhounds who came calling most often, each selecting four players from the loop. On the opposite end of the spectrum, the Mississauga Steelheads and the Niagara Icedogs decided against all Alliance players, taking zero from the loop. There were definitely some surprises when it comes to players who did not hear their name called. One thing I have noticed throughout the years is that the Alliance does have a good track record in the U18 draft. I think a lot of teams don’t pay close enough attention to the Alliance and then see talent who slipped through excel at Midget and react accordingly. Look at last year’s draft to see guys like Kaleb Pearson and Griffin Wilson who were passed over at minor midget only to be taken in the U18 and spend the entire season with the Owen Sound Attack. Come tomorrow, I expect teams to right the ship and select Graham Sutcliffe who should have easily be selected last season. Ellis Rickwood is another player who should be called early on. Below are a few instances that surprised me when all was said and done. Mateo Amaral – I had Mateo in my top 25 because you could easily see the skill set that he brought to the table. Dynamite speed with that finishing ability, I never expected him to go in the opening five rounds but I figured he would be someone taken later on with the potential to crack the lineup. Maybe it was the on-ice antics, but those similar antics didn’t end up hurting Landon McCallum who went in the opening round and plays with a similar edge. Lambton Jr. Sting – I get that the team wasn’t the most successful on the ice, but it still does surprise me that nobody from the club was selected. I obviously had Ethan Mathews at 25 in my rankings so there was a belief he would go, but you also look at a player like Carson Peer who showed some flashes at some key moments. You never want to say that team success contributes to selections, but the Jr. Sting have had some struggles over the years and now have only had eight players selected in the last five drafts, second lowest in the Alliance. Ben Bates – Lots of talk about goaltenders in this year’s selection and maybe the U18 draft and allowed teams to defer selecting netminders until that draft, but Bates was one I figured would get the call. A late birth year who was instrumental in the success that Cambridge saw this season, Bates also has the size that many look for in a goalie. In addition to Bates, you can add names like Abbott, Rowe and Nicholls to goalies who could have been selected. Then again, I though Sam Moncada was phenomenal and he wasn’t selected either so maybe times are changing. That does it for the wrap-up from the 2019 OHL Priority Selection. I’ll have results of the 2019 U18 Draft here on Thursday sometime. 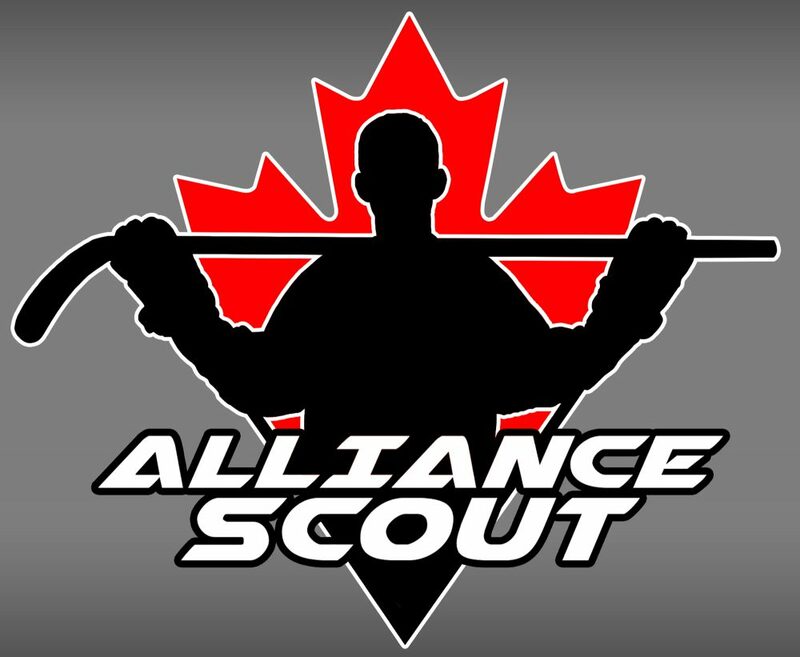 This entry was posted in Alliance Scout, Brantford 99ers, Cambridge Hawks, Chatham-Kent Cyclones, Elgin-Middlesex Chiefs, Hamilton Huskies, Huron-Perth Lakers, Kitchener Jr. Rangers, Lambton Jr. Sting, London Jr. Knights, ohl draft, Sun County Panthers, Waterloo Wolves, Windsor Jr. Spitfires and tagged ben bates, brandon abbott, Brantford 99ers, cambridge hawks, carson peer, Chatham-Kent Cyclones, dawson rowe, elgin-middlesex chiefs, ellis rickwood, graham sutcliffe, Griffin Wilson, hamilton huskies, Huron-Perth Lakers, kaleb pearson, Kitchener Jr. Rangers, lambton jr. sting, london jr. knights, marshall nicholls, mateo amaral, mississauga steelheads, niagara icedogs, ohl draft, ohl priority selection, Owen Sound Attack, sam moncada, Soo Greyhounds, sun county panthers, waterloo wolves, windsor jr. spitfires by Dave Coulson. Bookmark the permalink.